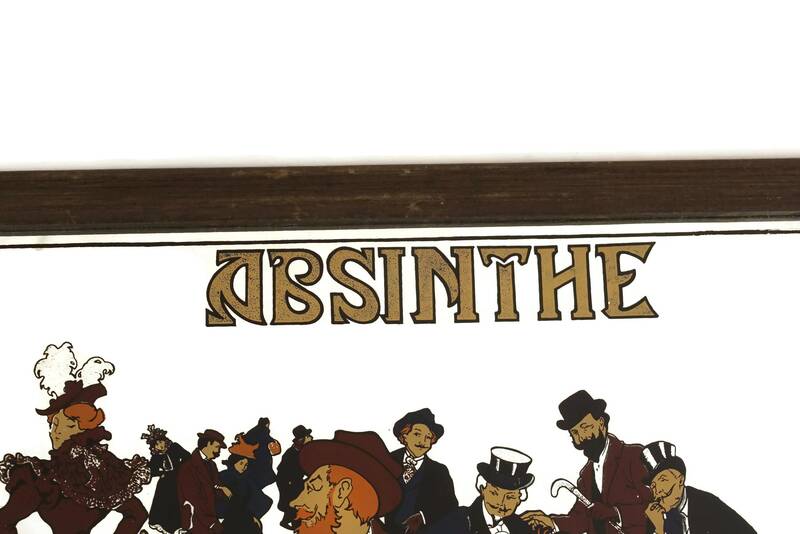 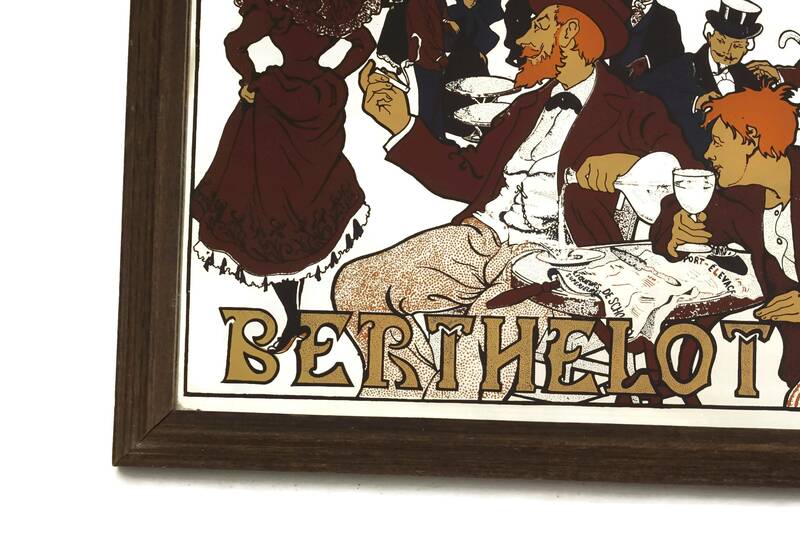 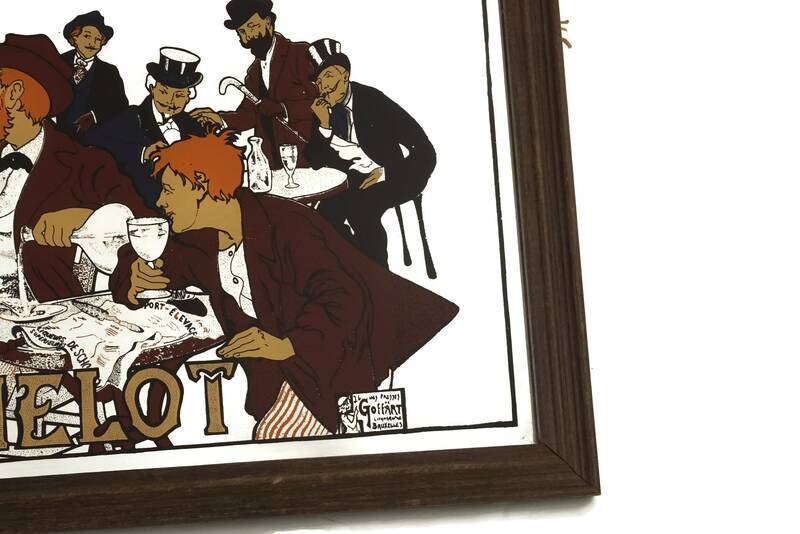 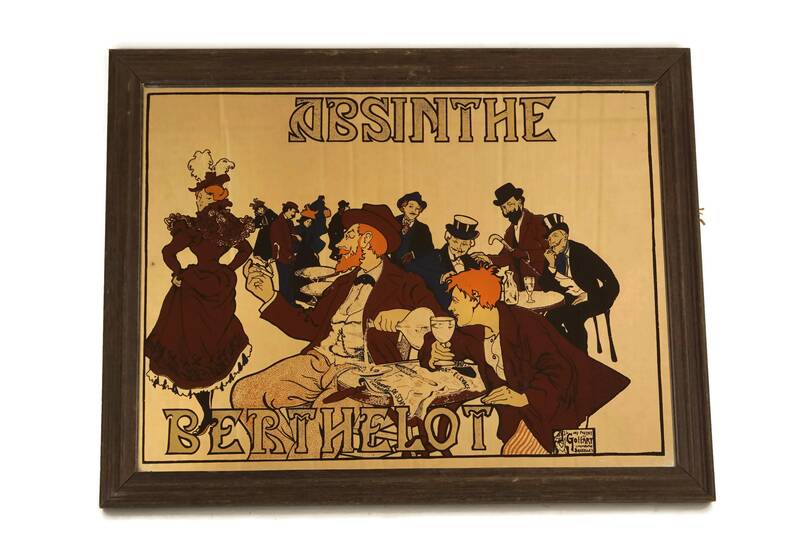 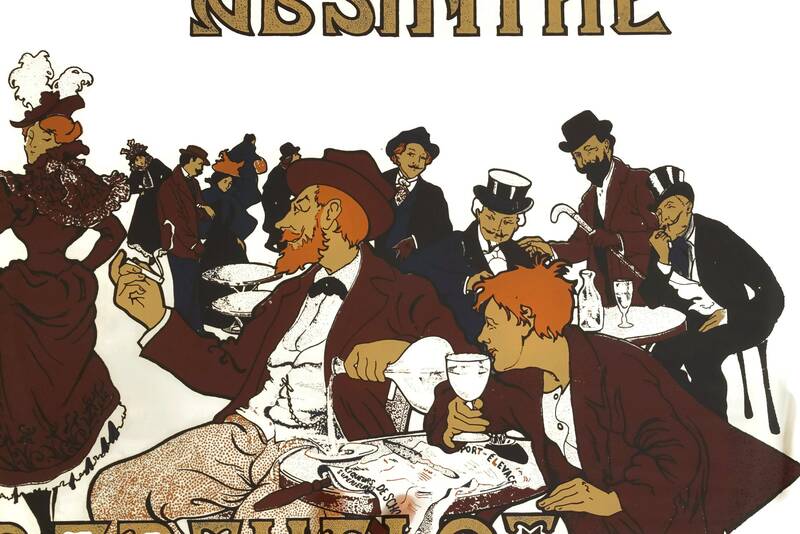 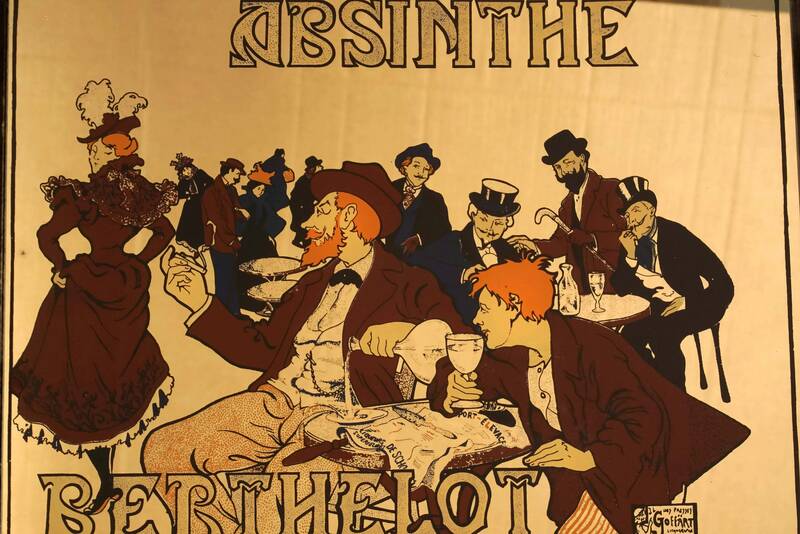 A stylish vintage bar mirror featuring advertising for Absinthe Berthelot. 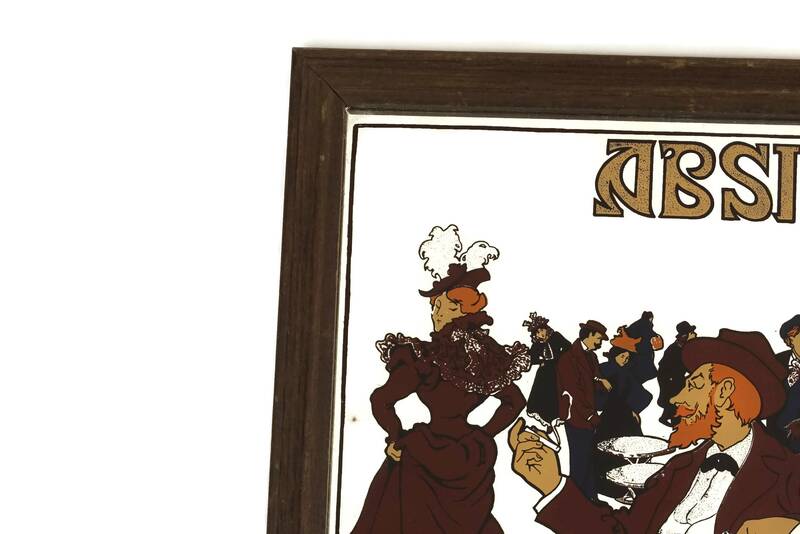 The small framed mirror has been decorated with a litho print inspired by an Art Nouveau poster by the famous French Belle Epoque illustrator Henri Thiriet. 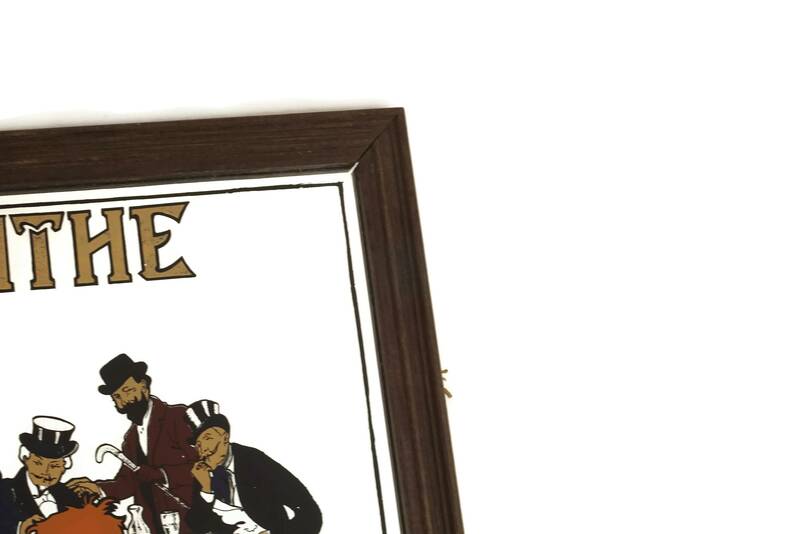 It has been framed in an understated wooden frame and has a hanging cord on the reverse side. 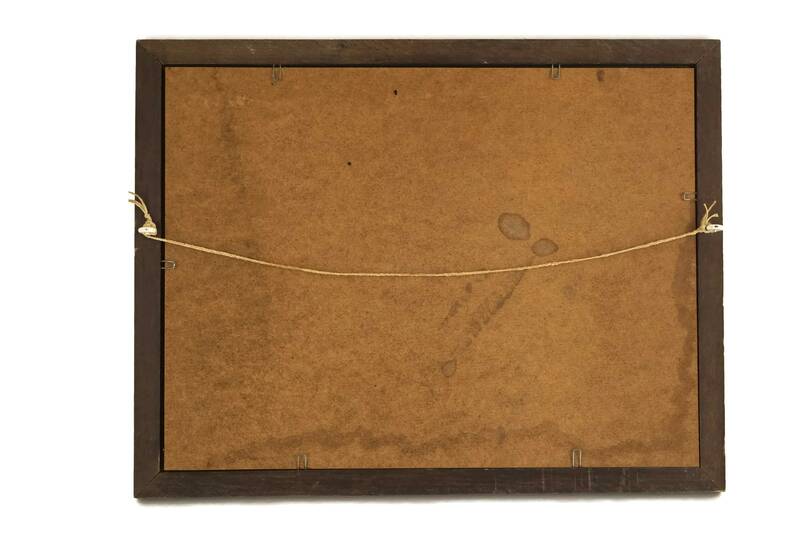 (34 cm x 26 cm). 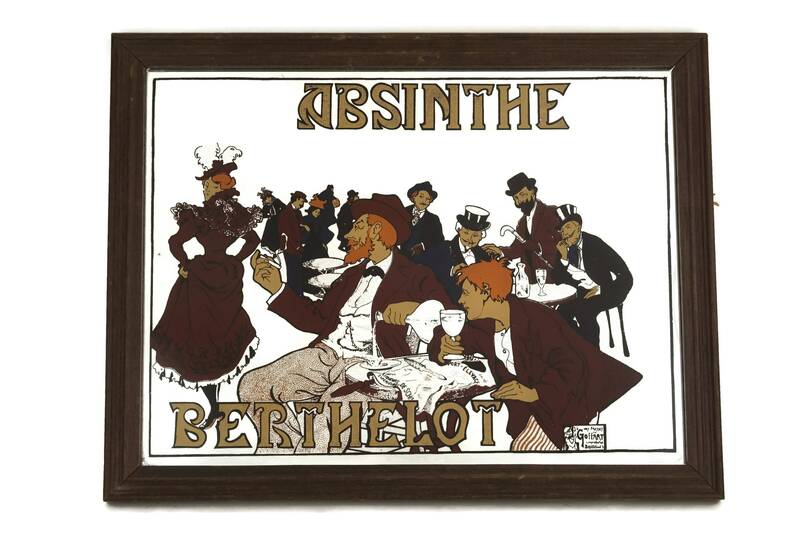 The French absinthe mirror is in very good condition with light wear including surface marks to the mirror and patina to the wooden frame.